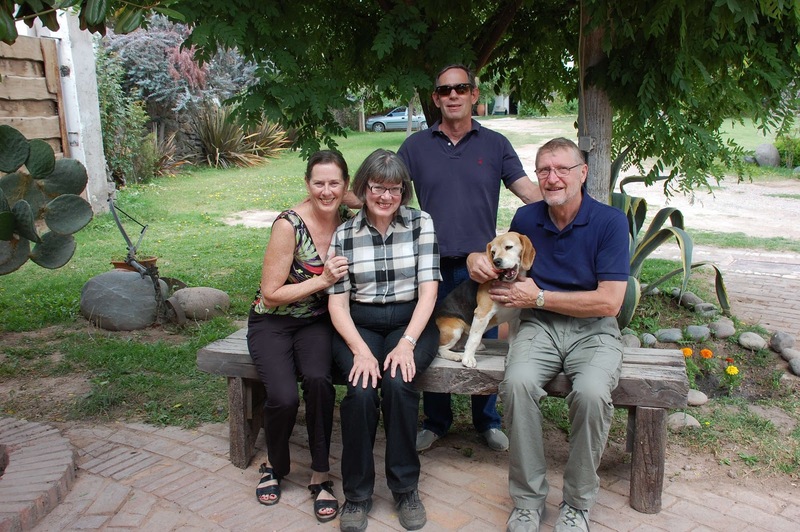 A mid-November visit from Judy and Claes, Linda's sister and brother-in-law from Stockholm, was an excellent excuse to return to Mendoza Province for five days of bodega touring and wine tasting. 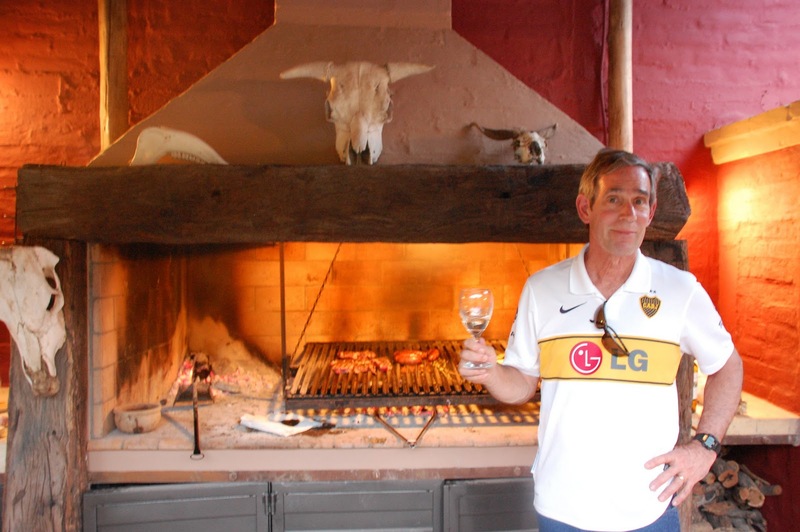 Once again we stayed at Quinta Anabtawi just outside the small town of Lujan de Cuyo. Photos from the quinta here. 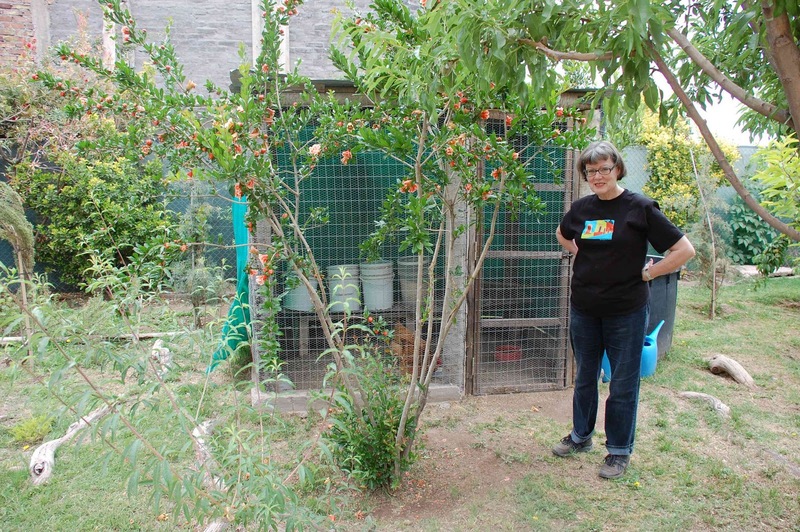 At the quinta, cherry, pear, apple, fig, almond and walnut trees plus rose, magnolia, and other flowering bushes testify to Mendoza's fertile soils and the transformative power of an irrigation system that brings snow melt from the Andes to a desert where rainfall averages less than six inches per year. 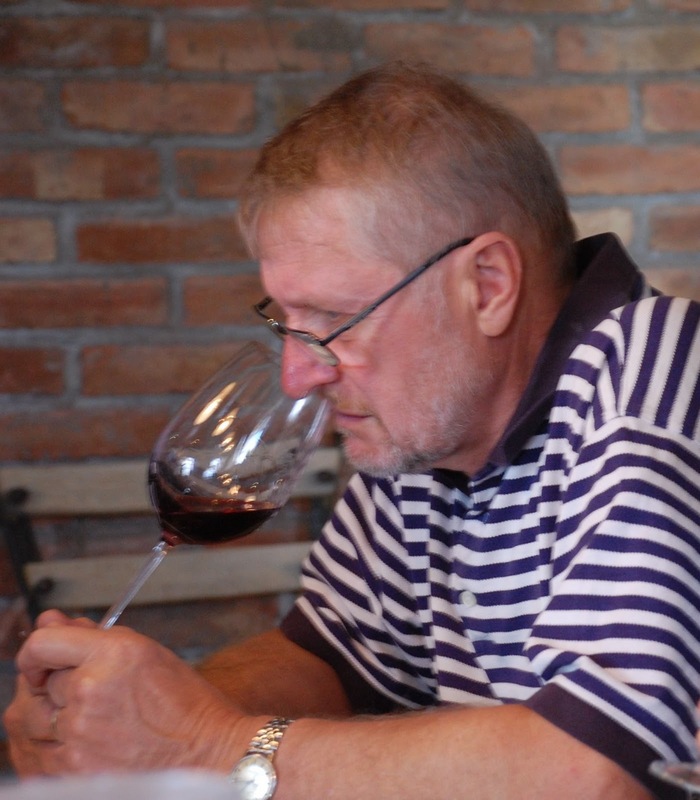 Of course, the trifecta of water, soil, and climate produces world-class wines, the underlying reason for our trip. 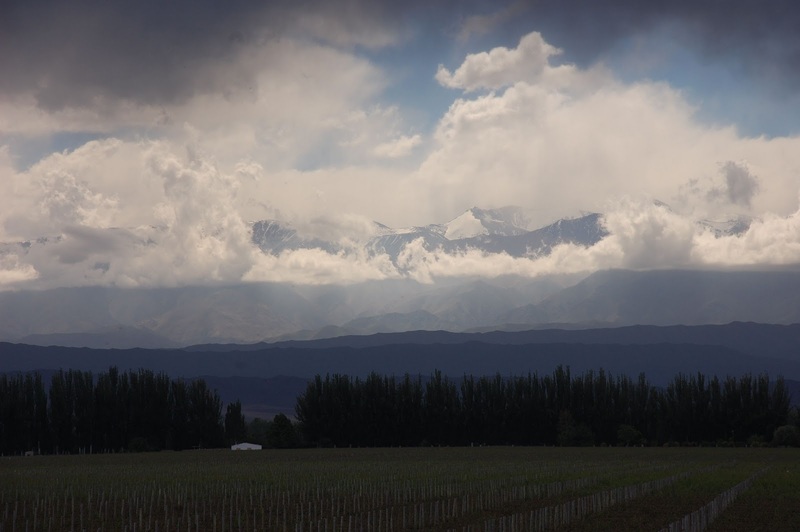 Although Mendoza is home to literally hundreds of wineries, we concentrated on five bodegas. 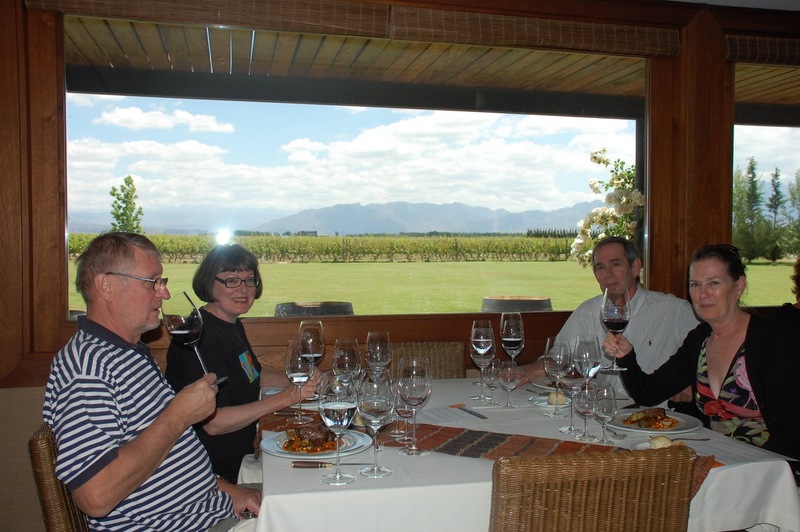 Some were favorites from past visits - Carinae, Tempus Alba, and Ruca Malen, where we again enjoyed the 2.5 hour 5-course meal with wine pairings, complete with a wonderful view of the Andes to the west. Others - Achaval Ferrer and Catena Zapata - are now new friends. 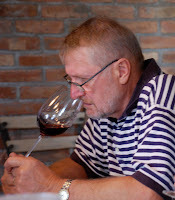 And with coaching from wine expert Claes, our wine tasting and appreciation skills are enhanced . . . though we still need to practice! More photos from the bodegas here. Not quite to the summit! 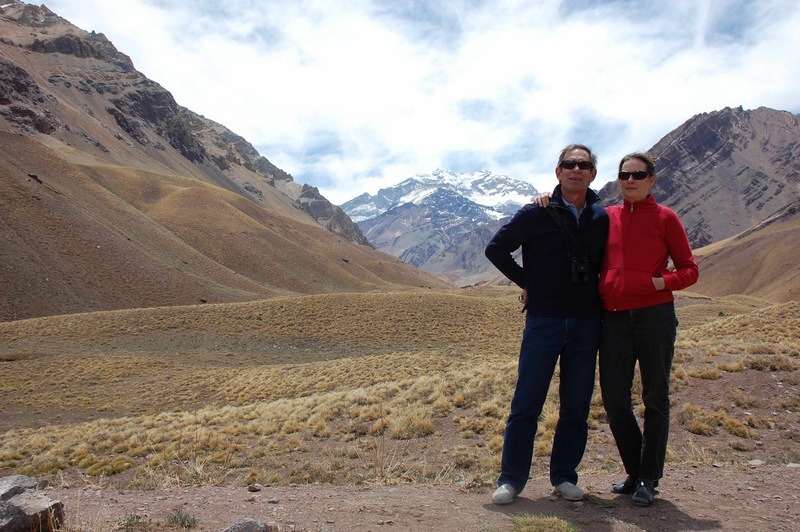 We took a day off from bodega visits to head further into the Andes, to the base of Aconcagua. At 6,962 meters above sea level, this is the highest mountain in the world outside Asia. The name means "Stone Sentinal" in the indigenous Quechua. Our short hike on the visitors trail was enough to make Kurt vow to return for an overnight trek in the future. And more mountain photos here. Back at the quinta, down-time daylight hours were devoted to soaking up the sun, exploring the grounds, and - especially in Judy's case - encouraging egg production from resident hens Thelma and Louise. Not to mention visiting with Homero, canine director par excellence of pr and marketing. Evenings invariably featured new experiments on the parilla - all successful by both human and canine standards.